Though his profession is to breath life into various characters on the big and mini screen Gagan Malik’s mission is to promote peace and love. A Hindu by birth he has embraced Buddhism on Poson Poya day in 2014 in Mihintale. 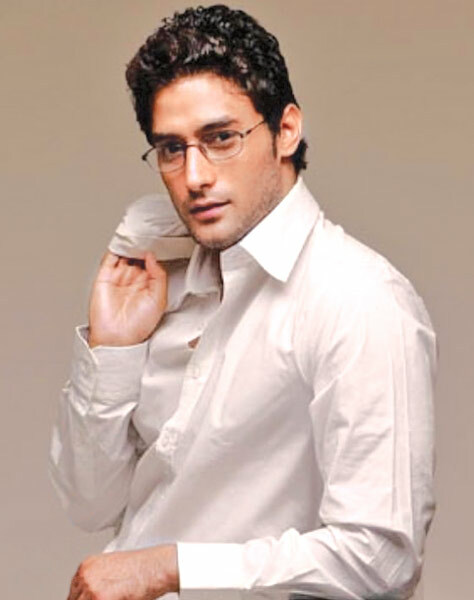 His role as Prince Siddhartha in ‘Sri Siddhartha Gautama’, made him a household name in Sri Lanka. 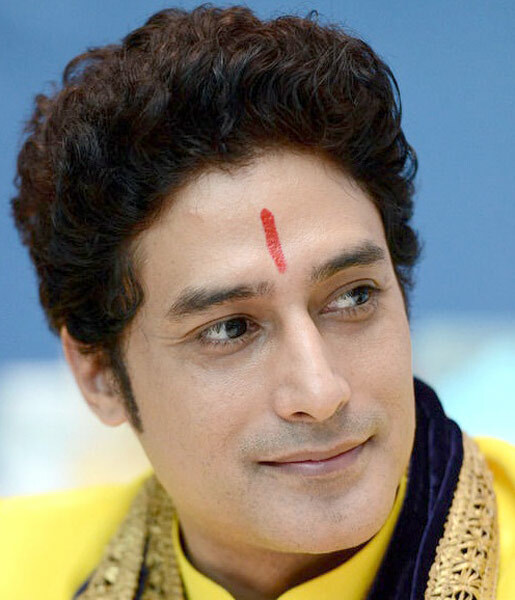 He has also portrayed Ram in the television series ‘Ramayan’ for which he won the Best Actor award at the World Buddhist Film Festival organised by the United Nations. He is currently essaying three roles: Lord Rama, Krishna and Vishnu in the Indian television show ‘Sankatmochan Mahabali Hanuman’. Gagan is also a former Mr India contestant. He is engaged in activities aimed at serving humanity via ‘Lotus World’, a project he started with Navin Gooneratne and others. Q: You keep starring in history and religion related projects. 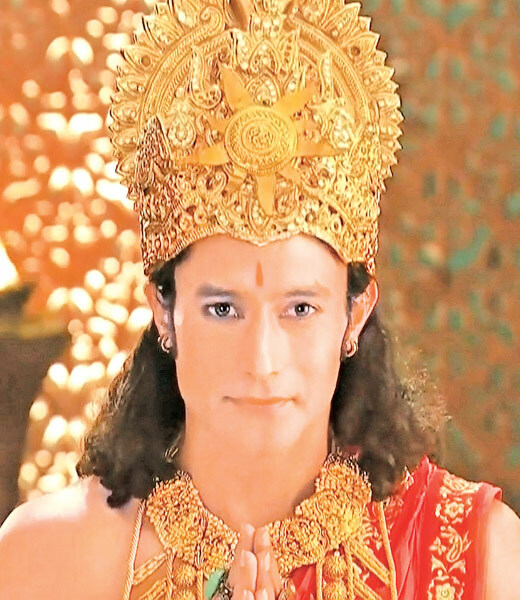 A: Within 15 days after I have completed shooting for ‘Sri Siddhartha Gautama’ I got the chance to portray Ram and later Lord Rama, Krishna and Vishnu. I took it all as a blessing. The directors and producers believe that I possess features that match these kind of characters. My mother is a very spiritual Hindu lady. She believes that if you write ‘Ram’ 8.4 million times, then you can get rid of the death and birth circle. Therefore she wrote the name more than the required times and kept the books safely under lock and key in the bank. I believe that it is due to her blessings that I got to star as Ram. Now I am portraying three deities in ‘Sankatmochan Mahabali Hanuman’. I like it because such roles give a positive message to the society. Q: What excites you about acting ? A: Many things enhance my passion for acting. The main thing which excites me about acting is when I get a character which delivers a constructive message to the society. There was a time when flamboyant roles attracted me but that feeling does not exist anymore. Q: Are you a ‘people person’ ? A: Yes. Friends who have been with me for the past 20 years are still in contact with me. I am a very emotional person. I love to spend time with my friends. They are all genuine. That is a feature that is difficult to find in the society today. I don’t drink or smoke. I do not like going to parties. I prefer to get together at home or to have a quiet dinner at a restaurant. These days I am surrounded by Buddhists in India. All the Buddhist religious leaders are in contact with me. 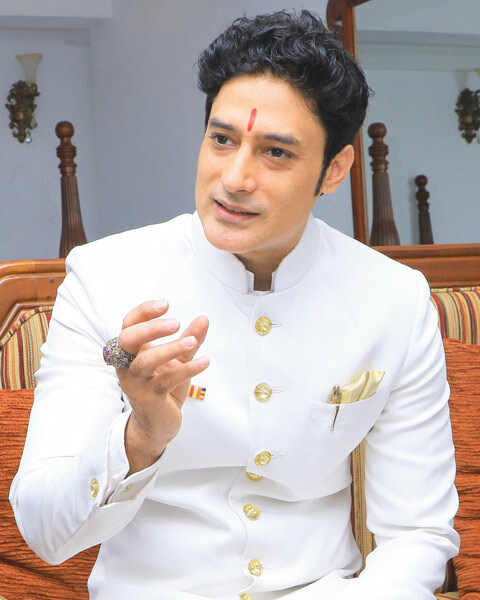 Q: How has playing the role of Prince Siddhartha in ‘Sri Siddhartha Gauthama’ affected your life ? 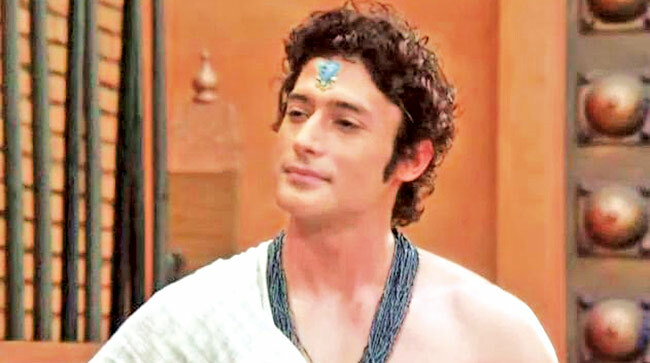 A: My whole life changed after portraying Prince Siddhartha. I became aware of Dhamma and spirituality. I had to learn about the character from the beginning because I did not know anything about Prince Siddhartha before that. I think it is one of the most difficult roles to play for an actor. We underwent a lot of training before shooting. The challenge was how to present Prince Siddhartha whom nobody has seen. We assumed characteristics like his calm and pleasant ambiance after reading up about him in many works. It was difficult to portray scenes like when he was refusing food and water. I lost about 8 kilos for those scenes then had to regain weight again for the next scenes. I got an idea about the discomforts that Prince Siddhartha must have faced while undergoing the process. I was suffering from a headache and could not even walk properly! As a foreigner I found it very difficult to speak the Sinhala language. You need to know what you are saying to give the pauses at the right moment. It was dubbed but you need to do the exact lip sync. If you cannot deliver a proper dialog the actor starring opposite to you cannot react properly to your words. Walking in the forest barefoot was another difficulty. There were so many thorns! A doctor was present on the sets and he was always attending to my wounds. Q: What was your perception of Sri Lanka before and after you came here ? A: I visited Sri Lanka in 2004 for the first time. I was a model then. I appeared in a TV commercial for Ole. I felt that it is a nice country then. Once I came back to take part in the film I got the opportunity to explore the country. I love the natural beauty of the country. The country is cleaner and the people are better than those in India. (Laughing) Sri Lanka has become like a second home to me. Q: What do you think about Sri Lankan cinema ? A: Except for ‘Siri Daladagamanaya’ I have watched only a few trailers. Though I thought that they are ok I think they need a lot of improvement too. I have tried to take an initiative to improve Sri Lankan cinema. A good story is a must. The Sri Lankan film industry is small. There aren’t many film halls in the country and the National Film Corporation is giving you only about 30 to 35 halls to screen your film. The producer will not be able to regain the amount he spends on the film when his movie is being screened in a few halls. You need to improve the quality of the film technically too. The presentation has to be good because people want to feast their eyes on something nice. If the quality of the film is not up to the mark you will be left with nothing. I have spoken to some people in South India. They want to renovate the existing cinemas. They have a method in which they can turn a film hall into a top class cinema theater for a small sum. If you give the audience a good environ to watch the movie in then you would have scored 50 marks already! The rest of the marks you have to gain through making a quality movie by collaborating with India. Q: If you could become someone else for a day, who would you choose to be and why ? A: (Laughing) I have never thought about it. I need to think it over... (Thinks hard for a few minutes) I would choose to be a spiritual leader who can bring all the countries, societies and religions onto a common platform so that people can understand that every religion teaches you good things. I need to be a personality who can convince people and make the society a better place. Q: Three fitness tips you would give another person. A: 1) Engage in slow running (similar to jogging) for 20 minutes in the morning. 2) Drink at least one liter of warm water as soon as you wake up.3) Have all three meals per day and a good sleep. Q: You play three characters in ‘Sankatmochan Mahabali Hanuman’. How do they differ from each other ? A: Krishna is a mischievous God. He teaches lessons in a very intelligent manner. Rama is a peaceful character. Whatever happens he will walk on the path of Dhamma. He is straightforward. Lord Vishnu is the saviour of the world and the authority. Rama and Krishna are his reincarnations. I am coated in blue when I play his character. Q: What is your favorite and least favourite food ? A: I love my North Indian food. I am a vegetarian. My ideal meal is Tandoori Roti with Shahi Paneer and Dahl Makhani. (Laughing) I don’t like Ginger beer in India but I love it in Sri Lanka. I hate cold food. It does not matter what it is, I simply want it warm. Q: Apart from acting what are your other passions ? Q: If you could have the lead role in any film already made, what would you choose ? A: Michael Corleone’s role played by Al Pacino in ‘The Godfather’. Amitabh Bachchan is my all time favourite. I would love to play his role in ‘Namak Halaal’. Q: What would people hear if they could read your mind ? A: They would definitely come to the conclusion that he is a kind-of-ok-guy. (Laughs) I believe that they would realize that my motive is to serve others. Q: Three lesser known facts about yourself. A: 1) One of my dreams is to be a singer but I am really bad at it. So when I am alone, I sing a lot. Then nobody can hear how badly I am singing. Otherwise they would start hating me! Mohammed Rafi is my favourite. I also like Mukesh. 2) I hate waking up early morning. I love sleeping. I sleep for a long time when I am on holiday. 3) I love to go for a drive inside the city in the night playing soft music in the car. A: I come from a business family. My parents and siblings are in Delhi. I have three elder brothers and a sister. I live in Mumbai but visit them whenever I can. My wife’s name is Pooja. Q: What are the programmes you have engaged in for ‘Lotus World’ ? A: Our motive is to make the world a better place through right speech, right action and right livelihood. We encourage everyone to follow these precepts. We also want to develop inner happiness which we get in serving others. We have visited many countries to spread this message. The platform is open for everyone to join in the programme. I especially want the politicians to join in. If they follow the teachings, the world would become a different place. Q: Are there any movies coming up ?